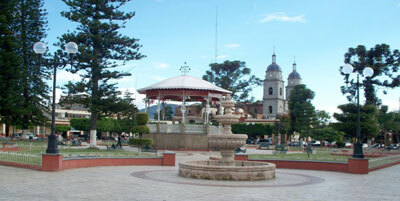 The old province of Tuspa, as that region of southern Jalisco was designated when Mexico was a colony of Nueva España, contains the ancient valleys and headwaters of the Tepalcatepec and Tuxpan river systems, located at the western end of the Sierra de Michoacan. It abuts the soaring volcanos of Colima, whose rumbles have caused the earth here to heave “like the rolling waves of the ocean,” according to a resident of the modern town of Tuxpan. Modern Tuxpan, of course, is the ancient Tuspa, the center of the old province, and many older residents often fall back to the habit of lispingly calling it that — “Tushpa” — particularly when talking with one another. Hardly a tourist resort, Tuspa possesses numerous modestly hidden treasures for the inquisitive traveler, for the bewitched explorer of Mexican places and ways. It is a small open-centered, two-story, stubby-seeming town that happily retains many of its ancient habits of commerce and living. Thus, Tuspa’s attraction lies not in the things one can find there to play with or buy, but rather in the people one meets.